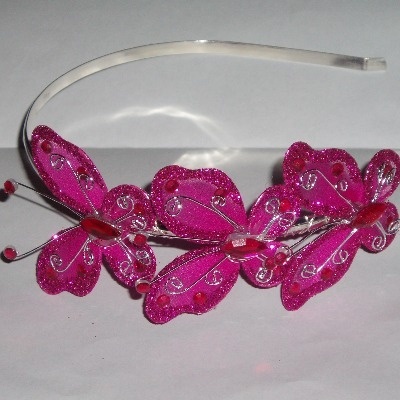 Handmade Butterfly Flutterby Hair Band or Alice Band with 3 Organza Butterflies on a silver plated band. 0.5mm wide. Each sparkling butterfly measures 45 x 50mm. Just select the one you want and write it in the box.